When accidents leave you injured, you may find yourself wondering where to turn for legal assistance you can rely on and trust. The lawyers of Larson Law Firm P.C. have been assisting the residents of North Dakota with their legal needs since 1979. 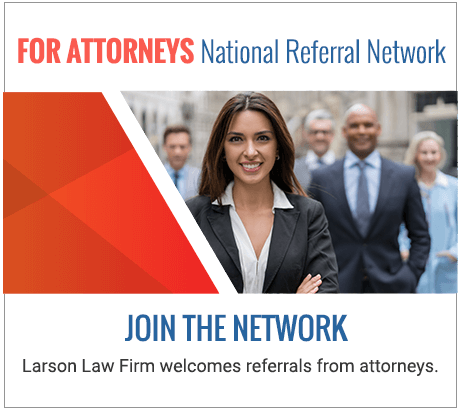 The firm founder Mark V. Larson is a Certified Civil Trial Specialist, as well as a Certified Pretrial Specialist. With a reputation for fair and honest representation, we provide each of our clients with the utmost respect and an extensive understanding of the law. If you need legal representation in the state of North Dakota, don’t hesitate to turn to our knowledgeable personal injury lawyers. Our Minot office location is conveniently located and we routinely represent clients in Ward and Williams Counties, as well as surrounding areas. We help you file third-party lawsuits when a company or person’s negligent actions cause you harm. We want you to be taken care of in case a bad accident disrupts your ability to earn an income. We routinely handle vehicle accident cases, including motorcycle and recreational crashes. Even if the claim is complicated—for example, the at-fault party doesn’t have insurance—our firm is prepared to overcome each legal hurdle. Securing representation from hard-working, diligent attorneys ensures you can receive full and fair compensation. Even if you are not sure if you have a case, please give the Larson Law Firm a call. We can answer your questions and advise you on the best possible course of action. Personal injury. Our lawyers have successfully handled numerous personal injury claims. Our personal injury clients have also obtained compensation for harms involving farm and workplace accidents. We are particularly skilled in representing victims of serious burn injuries. Premises liability. When property owners fail to maintain their premises in adequate condition, slips and falls, along with other serious incidents, may occur. If you secure our premises liability services, you can rest assured that we will diligently work to hold property owners accountable for unsafe conditions. Product liability. Our product liability lawyers have a proven track record of success against major product manufacturers, including makers and designers of defective auto parts, faulty farm implements, oil drilling machinery and construction equipment. We have also helped families deal with injuries involving dangerous toys or child car seats, as well as household products. Insurance settlements. Insurance companies do everything they can to limit payouts and resolve claims as quickly as possible. This often translates into inadequate insurance settlement offers and bad faith tactics. Our skilled North Dakota insurance settlement lawyers stand up to these for-profit businesses and help our clients assert their interests against even the most uncompromising insurance companies. Medical malpractice. When the physicians and medical professionals we trust act in a reckless or negligent manner, our medical malpractice lawyers aggressively pursue compensation for negligent care, including diagnosis errors, surgical mistakes, medication errors and birth injuries. Nursing home abuse. 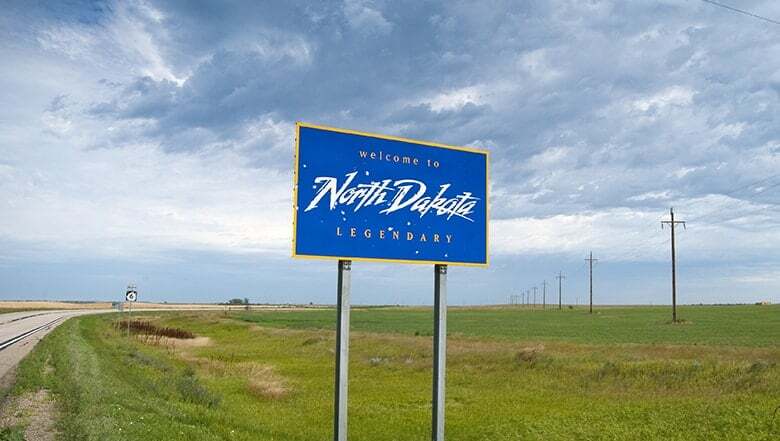 North Dakota has a large elderly population, and our lawyers believe that these valuable members of our community deserve to be treated with respect and care. We find nursing home abuse and neglect to be disgraceful and we are leading the fight to hold these bad actors accountable. Wrongful death. If a loved one died as the result of an accident, let our attorneys help file a wrongful death claim. These claims apply to a variety of situations, from car crashes to instances of medical malpractice. The lawyers of Larson Law Firm P.C. have years of knowledge and experience in the courts of North Dakota. If you need legal assistance, trust a firm with a proven track record of success. Contact us to schedule a free initial consultation or call us toll free at 701-484-HURT. From our office in Minot, we are proud to represent clients throughout Ward, Williams, McKenzie, Pierce and Mountrail Counties.